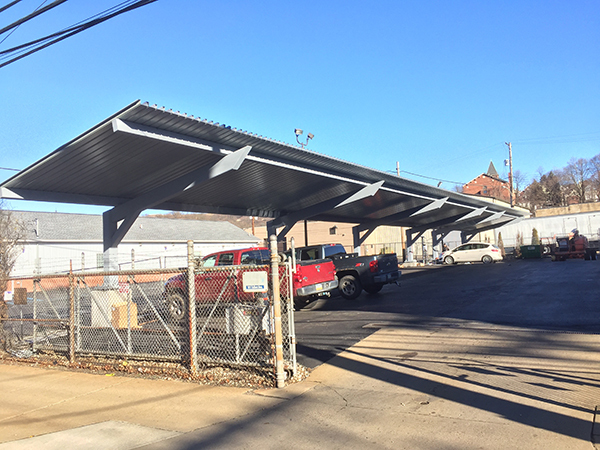 A 30kw solar array sits atop a carport canopy in the parking lot of Epic Metals’ Headquarters. 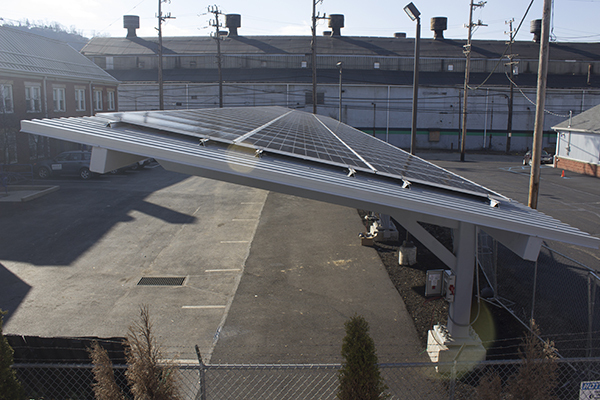 The energy produced serves their offices, LED site lighting and four (4) car charging stations. Epic Metals has a program where employees are subsidized for the purchase of an electric/hybrid vehicle. Their offices are also conditioned by a water-source heat pump system connected to a 7 well geothermal well-field. 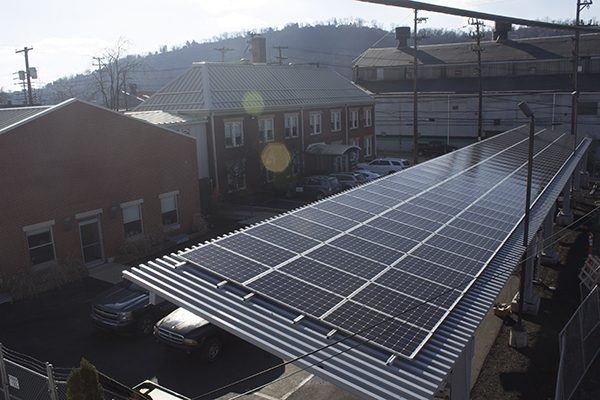 Epic Metals is committed to sustainable practices in the steel fabrication industry, including a robust recycling program and reduction of wasted energy and materials. 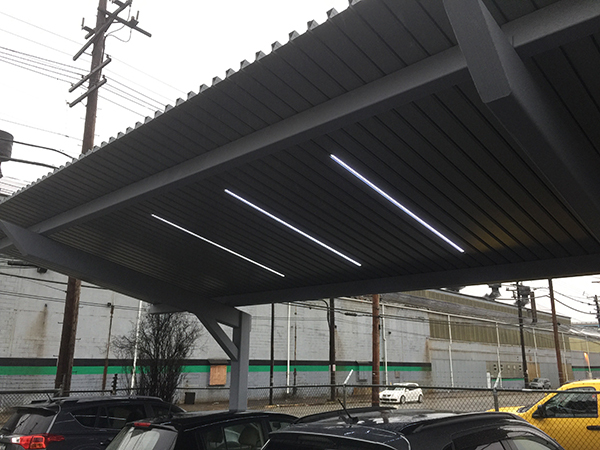 The decking of the canopy was fabricated onsite and the steel structure fabricate by neighboring steel erectors.